Checking the condition of the roofing material (RV Roofs are generally a rubber or metal membrane.) If you have tears, there are patches and tapes that will reseal them effectively. The condition of the caulking or tape along the front, back and side seams, as well as around your vents and other items installed on the roof. For any areas where the sealant has broken away or is cracked, new sealant can be applied over it to re-seal. Any soft or “crunchy” areas below the roofing material, staining on the ceiling panels inside the RV or delamination on the vehicle sidewalls. This is more serious, you may be faced with a partial or full roof rebuild. You should clean your roof well at least once a year with a roof cleaner designed for RVs. The dirt you see can be corrosive and reduce the life of your roof. We offer many different options for this type of RV Roof Cleaner. If your RV is 5-6 years old or more, you should consider doing a resurfacing. This involves cleaning the roof with a special activator, then “painting” a new surface over the roof with a roller. This can be done in a weekend and will extend the life of your roof another 5-6 years. Once you’re done up top, check all of the caulking around the windows, doors and other installed items on the sides of your motorhome or travel trailer. Here, you’ll want to remove any loose or torn sealant and reapply anew to keep water from entering the sidewalls in these areas. Hopefully, you winterized the RV by removing all of the water and filling the lines with antifreeze. So now, connect to a water supply or fill your tank. Then run the water through all of your outlets until the pink liquid disappears completely. Only once you’ve done this, disable the bypass for the water heater and fill the heater as well. You don’t want to have any anti-freeze in your water heater, it will be hard to get out. Once everything is full, pressurize and check the entire system for leaks. Put half a cup of bleach in your fresh water tank and fill it with water. Leave it a week or so or, better still, run it down the road so that the bleach cleans any bacteria off the sides of the tank. Best to start the season with nothing growing in your tank. If you’ve removed your batteries for the winter, that’s ideal, just reinstall them. If not, you should check that they are charged up or will charge up and hold the charge. Like many things on an RV, tires lose more life not being used than going down the road. Your treads will likely never wear out, but the key thing to check is for cracks on the sidewalls. A sidewall blowout can be pretty deadly. We’ve seen video of cars flipped over by their trailers after a blowout. If the sidewalls look good, apply a tire conditioner to them to reduce them drying out in the summer sun. Roll out your awning and check the condition. If the fabric is still in good shape, consider cleaning it to extend its life. We have many cleaners and conditioner combos for awnings that you can consider. If the awning fabric is worn, faded, torn or full of holes, you can easily and affordably replace it with a new one in an afternoon with a couple of friends. Finally, check the exterior walls of your motorhome or travel trailer for dirt, stains, fading or signs or oxidization. We carry a number or washes/waxes, cleaners and polishes to get the grunge off and make your unit look like new. For those stubborn black streaks, consider one of our RV black streak removers, designed to get those unsightly streaks off. 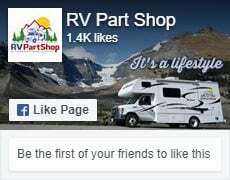 Start as soon as you can in getting your RV ready for summer, so you can fully enjoy it when the warm weather comes.